opportunities at the most senior level of prominent African institutions or multilateral organizations, whose mandate is to improve the economic and social prospects of Africa. creating a pipeline of future African leaders. The fellow will work with the African Development Bank for this purpose, for a period not exceeding twelve (12) months, and the Foundation will finance the costs associated with the position. Not have close family relations with an active or non-active staff member, such as mother, father, sister and brother. Applications will only be considered if they are submitted on line with a comprehensive Curriculum Vitae (CV)) indicating date of birth, nationality, education and relevant experience. Applicants must also attach copies of academic transcripts and three letters of recommendation. The selection process will include the Bank’s Human Resources Department carrying out an initial vetting of applications to develop a short list of ten (10) applicant files to be further reviewed by the Foundation. A short list of three (3) candidates will be presented to the President of the Bank (or his designate) for final selection. Only applicants who fully meet the Bank’s requirements and are considered for interview will be contacted. 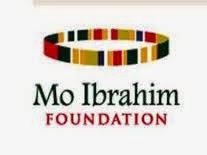 For more information, follow this link to find out more on the 2015 Mo Ibrahim Leadership Fellowship Programme.